Jim Morgan’s Wood Profits raised my suspicions when I first came across the woodprofits.com website about 4 months ago and although I’m not saying Wood Profits is a scam there are many components of its promise that has me questioning its legitimacy. Wood Profits is a book or more specifically a guide to achieving success with woodworking and turning your hobby into a very lucrative business, or so their site claims. They go on to add that this success can be achieved with little to no startup capital and no high-end equipment while working only 20 hours a week. On top of it all, they claim all of this can be done while having almost no previous woodworking experience. Great! Sign me up, no wait, maybe not just yet. Let’s take another look first. Landing on the site’s homepage you are met with a very captivating heading suggesting you could earn an income of $90000 – $150000 while woodworking with, wait for it, a measly $1000 or less start-up capital, which is later, as you read on, reduced to “no capital”. At this point, I am already questioning its plausibility because as we all know, when something sounds too good to be true it often is. They do however make it very clear in their disclaimer that they can in no way guarantee that you could or would make the sum of money they so provocatively swing before your eyes in their attention-grabbing homepage and that this amount is just an estimate. This does seem like a fair statement to me because let’s face it, just buying a book is not going to make you money. There is still a great deal of work to be done thereafter like source materials, build the products and ultimately sell these products at a profit. This is easier said than done. So after the promise of high returns with a minimal investment you proceed to read the inspirational story by Jim Morgan. A gray, old, spectacle wearing male as the suggestive picture would have you believe but after doing a quick google image search you will find that this is a stock image from istockphoto.com called smiling man. So either Jim Morgan is not only a woodworking genius but also a model. Though highly unlikely, it is possible. So let’s keep going. Continuing through the site you will be met with images of what I am lead to believe should seem like “Jim” working in his small workshop. After closer inspection, you will probably come to the same conclusion I have, which is that although these images have gray, sometimes bearded men wearing spectacles, they are indeed, not the same person. You can make up to $150000 a year woodworking with little or no start-up capital, no expensive equipment, and no experience. If this is true then there are many great woodworkers out there that are completely missing the plot. Equipment aside (which in the wonderful world of professional woodworking can tally up to exorbitant amounts), let’s take a look at a random scenario posed by myself. If you sold a specific product for $100.00 at a very impressive 40% profit. It would mean you would need to produce 3750 units of that product a year to make $150000.00. That’s roughly 72 units a week. According to “Jim”, you will only be working 20 hours a week which means you will need to produce an object every 17 mins. a guide to selling wooden furniture. and let’s not forget, access to his 1 secret. The critical first step, the one secret which without you don’t stand a change. So everyone else with experience, plans, and sales know-how, who has tried to make that kind of money woodworking and have failed, have only been doing that one thing wrong? The last thing that has me questioning the validity of their pitch is the string of credentials they have. They claim to have been featured on “USA Today” and “CNN” and even boast a “Home Business Reviews Award” but I have yet to find any trace of these achievements anywhere else but on their site. Woodprofits.com offer a 60-day money back guarantee if you are not completely satisfied with their product but if the only means of contacting them is to submit a “ticket” through their website, I am doubtful that the act would be as simple as it is being made out to seem. At the end of it all, it is a very alluring and captivating pitch. Will it make you wealthy? Though possible, it probably won’t. Like most things in life, woodworking is something that takes hard work, dedication, perseverance and time. Why would potential clients buy your product if they can buy it from someone who has the skill to produce the same product but of a higher quality. A few other things that are suspicious. Why would a woodworker need a hard hat? Why hasn’t their “soon to go up” offer not changed in the 4 months since I first came across the site. Jim’s signature is done in a font called Scriptina Pro. Why so many positive reviews? So why are there so many reviews promoting this product? Simple, these are likely all affiliate marketers. This means for every sale woodprofits.com generates through an affiliate site (the site promoting their product) the affiliate receives a commission. Wood Profits is currently offering a very impressive 75% commission and it is for this reason why people are jumping at the opportunity to promote their product. Something else that has me worried is the fact that all the reviews I found on Youtube either had no comments at all or just a bunch of affiliate spammers trying to get a cut of the pie. While affiliate marketing in itself can be a great business opportunity, what these people are doing can be considered unethical. If you would like to learn more about affiliate marketing and how to build your own website, I suggest you check out Wealthy Affiliate. While I do believe that upon purchasing this guide from woodprofits.com, you will receive a “guide to making money with woodworking” but whether or not it will make you rich, I find highly doubtful. I personally will not be spending my hard earned money on something that makes such a grand claim with so many red flags and no references to back it up. Making money with your hobby is possible but being realistic and working hard is key. Some friends of mine do beautiful wood dolphins. If you produce unique beautiful wooden sculptures you could make a killing!! I’m with you, No way could you make high quality items without the skills & they don’t come out of a book. I had never heard of the site until I read your review. I have been and checked it out. Great idea about the metalwork website. I also do a bit of metalwork and also enjoy it a great deal but just like woodworking, it does requires a good deal of skill and know-how. I also agree with you that skill does not come out of a book. It takes practice. Just like reading a book about “how to be a rockstar” won’t mean you will suddenly be able to play the guitar. Jim Morgan’s Wood Profits sounds like a crazy proposition. As you pointed out, woodworking is a skill (and an art). My dad did a lot of woodworking and made some beautiful pieces. But he had a talent for it. Not many people have the talent and patience for woodworking–even if you learn how to do it. This is true. I have worked with tools my entire professional career while woodworking is just one of the trades I practice. I can honestly say that without practice you will have a hard time producing quality products. Interesting post! I appreciate you making others aware of scammers that are trying to exploit people actually trying to get into something passionate. Keep up the good work! Thanks for stopping by. Just to be clear, I’m not saying it’s is a scam as I haven’t bought the product. I am explaining my opinion based on how I analyzed their website. If you view their affiliate site you will find that they are associated with Ted’s woodworking which has also received many negative reviews for being untrustworthy. Jean, I completely agree with you here. You can make a profit with woodworking, but it takes hard work, perseverance, talent, and frankly, money. I come from a long line of carpenters. I used to be a professional carpenter and still have it in my blood. But I can assure you and any reader out there who think he/she can work wood without tools is completely wrong. Not only do you need the basic hand tools and accessories, but if you are going to do more than be a framer, you’re going to need table saws, planer, a jig saw, miter box, a lathe, and countless other very expensive machinery. And let me tell you, you’ll still have to maintain the tools and machinery through replacement parts and taking the time to make repairs. That’s all out of pocket time and expense. Here’s the Gods-honest, yeah you can make $100,000 but trust me after expenses and taxes you’ll likely walk away with $20,000 annually. No, I’m serious. No joke. Carpentry is an honorable trade. But it’s hard. It takes time to build your clientele. And not only that, you have to constantly rebuild your clientele. I’m not trying to be negative or discouraging. But let’s face it – tradesmen have a hard lot. Even the very talented ones. Oh yeah, you can totally get lucky and be sought after. But it’s still expensive. Anyway, thanks for the article. I feel informed about a scam I didn’t know existed. Imagine! Thank you for your comment. I fully agree with everything you said. Something that I personally experienced as a more direct enemy of your margins is the high prices on the wood itself. I would love to believe in the beautiful picture painted by their campaign but I just don’t. I would have felt more at ease if I could find an actual user review of this product but I just can’t. I was on the edge of purchasing this, but as you noted above, it just seemed to good to be true. My first response before spending the $37 was to research on line any consumer business reports or any information about Wood Profits scams. Every review was positive; that’s just statistically impossible! There would have been at least one negative review, even if it was a disgruntled customer who gave it a shot and discovered he/she couldn’t make it work and quit, embittered by the experience. But there were none of those, either, which in itself is weird. After two days of searching, I came across your site. I read your thoughts above, but comments section really opened my eyes! You could tell by a lot of the seasoned responses that 1) they spoke from immediate experience of having, or 2) had friend or family who did. The comment above about after deductions one would be lucky to clear $20,000 per year was an eye-opener, too, along with your quip about having to produce widget ever 17 minutes or so just to hit that $100,000 – and that’s before taxes!! The last thing: why did it take two days to find your review? It strongly suggests that all the search engines, e.g. DuckDuckGo, Google, etc. are manipulating their algorithms on behalf of their advertisers, which ALSO means the reviews of WoodProfits is a scam – Someone’s paying to move those reviews to the top of the search engine heap! And the fact that “Jim Morgan” is a stock photo. That’s rich and pretty much clinches it right there, doesn’t it? I think I’ll buy the Amazon book for twenty bucks. Like you, I also considered purchasing their product and like you, I also found all the very positive reviews very suspicious. It was for that reason that I sat down and decided to scrutinize their site as to make an informed decision. Like I explain in my post, I can’t confirm that their product is, in fact, a scam, but after looking into it, I will definitely not be spending my cash on it. As for all the positive reviews, well my theory is because Wood Profits offer such a very attractive commission to their affiliates, people are lining up to promote their product. It may not be that search engines are bumping these reviews but more than the market is flooded with them. Best of luck with your woodworking business. Jim’s wood profits guarantee is exactly as it states. “Love it or Shove it”. If you don’t love it YOU CAN SHOVE IT because they will not respond back when you submit a ticket as I have tried several times. STAY AWAY FROM THIS SITE!. This is exactly what I expected would happen. I have identified a number of other sites that are set up in very much the same way as Wood Profits. I suspect that all of these are run by the same group. I will be posting more on that soon. Oh my goodness, I was in the process of setting up my paypal account to buy this product before the price “goes up again”, as stated on the site. Right before the very last minute, I decided to find reviews about it and saw your post. Thank you!!!!! Thank God for people like you. Bless you, good sir. Happy new year, by the way! There are more of these types of sites popping up with the promise of milk and honey with minimal input but unfortunately, I think we all know there is no such thing as easy money. A large part of the appeal of wooden furniture is their longevity and being able to produce a piece of furniture that would be built to last takes time, skill, and quite frankly a few bucks to get going. I admire the idea of what they are trying to sell but unfortunately can’t see those targets being achieved. Having started my woodworking business (without this book), i can assure you that if you want to get started in this business you will need more than 1000 dollars. While you can certainly make furniture out of mediocre tools and skill, it is not furniture or products that people will buy. Skills must be developed through practice, trial and error, and hopefully someone able to guide you along the way. Tools can make a huge contribution to the quality of your work as well, and you would be very hard pressed to have decent tools for a 1000 dollar budget. that may get you some chisels, a couple hand planes, and a hand saw or two. but in order to make good money you will need much much more. I would imagine that i am at least 6K into tools at least and still have a couple that i need/ want. Thank you for satisfying my curiosity about this book. I am always looking for ways to improve my business, but this one seemed a bit on the unbelievable side of the fence. I completely agree. I often tell people it doesn’t have to cost a fortune to get into woodworking as a hobby but to actually make the kind of money they are claiming is a whole different story. A piece of wooden furniture is enjoyed for its elegance, beauty and functionality. Features that can’t be mimicked without skill and equipment. I feel for you but I doubt you will ever get one. I came across your review after doing a bit of research for an article I’m writing for my site. First off it’s hilarious that they are using that stock photo. That is truly funny. Anyways great review and thank you for alerting us to that. I aim to please! Best of luck with your article. Thanks for the eye-opener review. 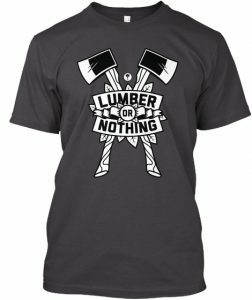 From your experience, have you encountered any actual legit sites that would offer what woodprofits was supposed to? Unfortunately, no. Woodworking is a skill and practice makes perfect. Don’t get me wrong. I do believe there is money to be made making things out of wood but to claim these profits without any equipment or experience? That remains to be seen for me. If you need help with your craft or just general pointers, joining a woodworkers community on social media can offer you access to all kinds of information from different woodworkers for free. I did a search on some of the people that gave good comments on the site. None of them seem to exist, Does he have any real references? None that I could find, unfortunately. Great comments Jean. I’m into ship modelling and purchased three good quality woodworking tools last summer at a cost of $1500 in order to make ship model bases and cradles. I’ve sold enough to cover about 75% of the cost after about 9 months. The mark up per unit is quite high but the volume is low. This is the real world. Thanks for your review. It’s a pleasure and thanks for the comment. Like a lot of folks here, I was close to buying this product but decided to research a bit first. Found your review and you make a number of very valid points, down to the stock photos and “Act NOW before the price goes up!” come-on. As an aside, if anyone has a Kindle ebook and is a Kindle Unlimited member, you can find a number of books available for free download regarding how to start your own woodworking business, how to price items you craft, and how to sell them. I imagine Step One of any successful business is to not waste money on things you don’t need or that may not work. I believe most of what this product claims to give you, you will be able to find for free somewhere else online. I don’t know if you are aware of “Ted’s woodworking plans”. Looking at their website and comparing it with the Wood Profits website, I am convinced that these two products are somehow related. In the case of “Ted’s”, I have read online people claiming that these plans are stolen or available online for free. I can’t confirm if this is true or not as I haven’t purchased the actual product myself but if this is the case I have no doubt that Wood Profits would be something similar. Received this Jim Morgan email recently. It sounded like another campaign a few years ago. Nearly identical web page. Apparently you will get lots of plans, not all very detailed. These are plans and info you can get for free by just doing a search. What this “company” is doing is collecting hundreds of free plans and then selling them. 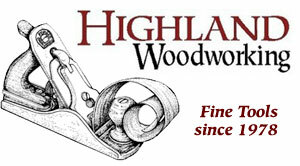 I would suggest buying the all magazine downloads/web access to Wood and Shop Notes. There is so much free info on the web, why buy from someplace without a reputation. I think you are referring to Ted’s woodworking plans. Yes, I have inspected that page also and have found it to be very similar to the Wood Profits page. I would steer clear of that product also. Woodprofits showed up in my facebook feed so I looked at it. I have seen many ads like it before. No mention of cost of the book until you go through the song and dance. Gee, $150,000.00 a year on 20 hours a week with a $1,000.00 start up expense. AND NO EXPERIENCE!!! Sounds great, so why isn’t everyone one doing it? And why is he wasting his time with selling a $37.00 book, when he could franchise the business and make even more money? I have been “playing” with tools for about 50 years and it takes SKILL and EXPERIENCE to produce a good carpenter. I have worked with an old time Master Carpenter that lived next to my mom. I’m not bad, but compared to Sonny, I wasn’t qualified to pick up saw dust. Same thing with the other Trades, like plumbing, electrical, welding, machining, it takes a long time to produce good work under Master that has the passion to teach you what to do and more importantly what NOT to do. What took Sonny 5 minutes to do would take me 30 minutes. Anyone who has run a business knows it isn’t a 40 hour a week operation, more like 80 hours. Forty working and 40 hours preparing for sales, marketing. billing, collecting and other paperwork. One thousand dollar start up? Has anyone even looked at the price of good wood? I probably have close to a $1,000.00 in wood in my garage. I buy tools at Estate Sales and get them pretty cheap, but wood is expensive. The bottom line is you make money with Woodprofits by selling Woodprofits to others that have a dream of working 20 hours a week and making $150K. Under $50 cost tells you what it is worth. It costs that little because people are not going to waste a lot of time trying to collect their $37.00, if it doesn’t work out.  “Wood Profits is currently offering a very impressive 75% commission” or $27.75 for every sale that you make. You only have to make about 5400 sales a year (or 15 sales a day) to make $150,000.00. I was just about ready to purchase for $37 and the $10 off offer pops up. I decided to do some more investigating and found a YouTube video with no comments, hmm. I decided to do some more searching and found your page, glad I did. There are so many free and for cost plans online that you can download and make without having to invest money in something that tells you you’re going to make over $90K or more per year. I’m working on some Picnic tables now for my son’s Scout project and I might see after making them if it’s worth making more for profit, if so I might start building a few. I doubt i will make the kind of money Wood Profits advertises, but it will be nice to sell them and make some money to pay some bills. Thank you again for posting this, it’s good to know someones out there keeping an eye out for scams like this. As you suggest, anyone claiming that a novice woodworker can make such profits in one’s spare time is not exactly on speaking terms with the truth. I’m not a woodworker, though I do work with wood – and a variety of other materials. I have no real training, but am able to turn out pretty much what I need after I’ve done a complete drawing and analysis of the parts in a rather antiquated, free version of SketchUp. I have a few books on the subject and one can always turn to the Internet to find ways to overcome various problems. However, without a shop full of equipment and the skills and knowledge to use them to their full capacity, one is going to struggle to make anything worthwhile. That said, I knew a man who took off-cuts of exotic woods that he picked up from various carpenters and turned them into the most exquisite pens, which he sold for a tidy sum. But even then, he had a few other enterprises on the side (selling food that he and his wife prepared and he also had a market in spices) to keep himself going. Absolutely, a creative mind with enough drive will find a way to generate an income. Being able to turn a pen, however, is a something that requires a level of skill that only comes from practice. Making a grand claim such is made by this product should send up red flags for consumers considering spending their hard earned money. What you are doing is by itself extremely unethical. The old trick of shaming one thing and at the next moment offering a better “solution” (wealthy affiliate in your case) for which I am sure you receive an affiliate commission. Gaining trust by “speaking the truth” about one product, then leading people into another one. Shame on you, Sir. Actually, Jimmy, I am very transparent in everything I do. I offer the link because that is where I learned about affiliate sites and making money through affiliate sales. I do subscribe to Wealthy Affiliate as that is where I learned everything I know about building a website but this is a woodworking site and I can honestly say that I have not earned a scent from referring people to Wealthy Affiliate. This is also my only site. I understand why you would think what you think but I wanted people to understand why there are so many people promoting Wood Profits and to do that they need to know what affiliates are.